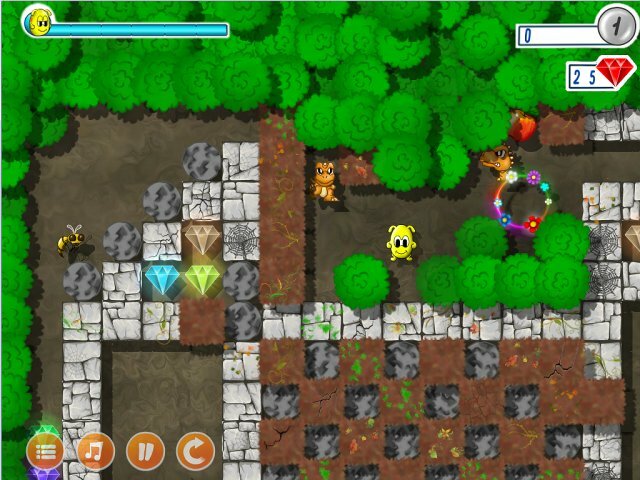 Danko must collect all diamonds on a level and find a way out. Small fairy-tale creatures Runics who love to search for treasures got a treasure map and started their journey for treasure. In the ruins of an old town's labyrinth, Runics got caught in a trap. Only one of them escaped. He came to his friend Danko (who was a well-known rescuer and a treasure hunter), handed him the treasure map and asked him to rescue his friends.